There is so much to see and todo on this trip, swimming, shopping, culture, seight seeing, a day which will provide you more information about the area. After picking you up from your Hotel at 9.30am , your first part of your Journey will start by driving trough Dalaman Town towards Fethiye. There will be many panoramic views on this journey with plenty photo opportunitties. Once we arrive to Fethiye, we will have plenty of Time for great bargain shopping in the Market of Fethiye Town. This market is rather spacious and more colourful then other small markets in the area especialy compared with sarigerme market. There are not only clothing and bags but games, shoes, food and all other kinds of other stalls available . After indulging yourself with shopping therapy your guide will gather you all together and proceed with the Bus to Kayakoy. Stone Village or known as Ghost Town by the tourist. 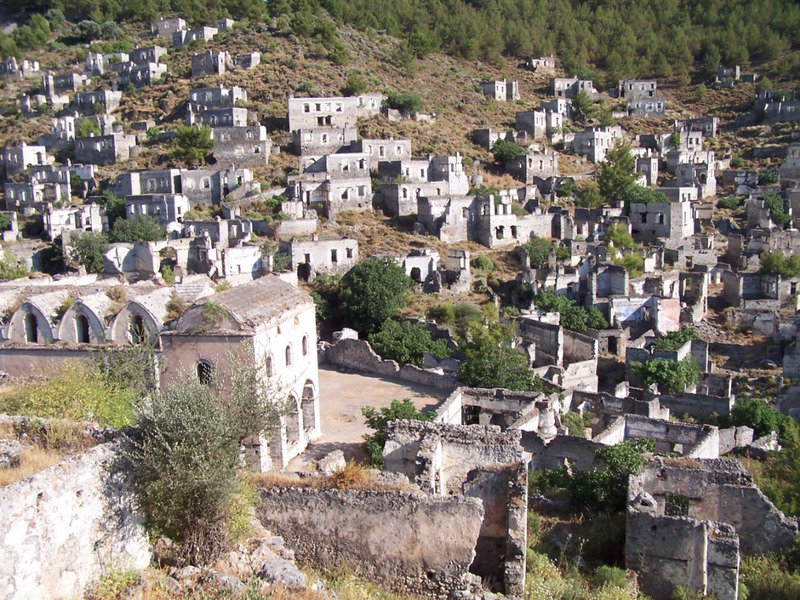 This is a village 8 km south of Fethiye where Anatolian Greek speaking Christians lived until approximately 1923. Village now preserved as a museum village, consists of hundreds of rundown houses and churches which cover a small mountainside and serve as a stopping place for tourists visiting Fethiye . 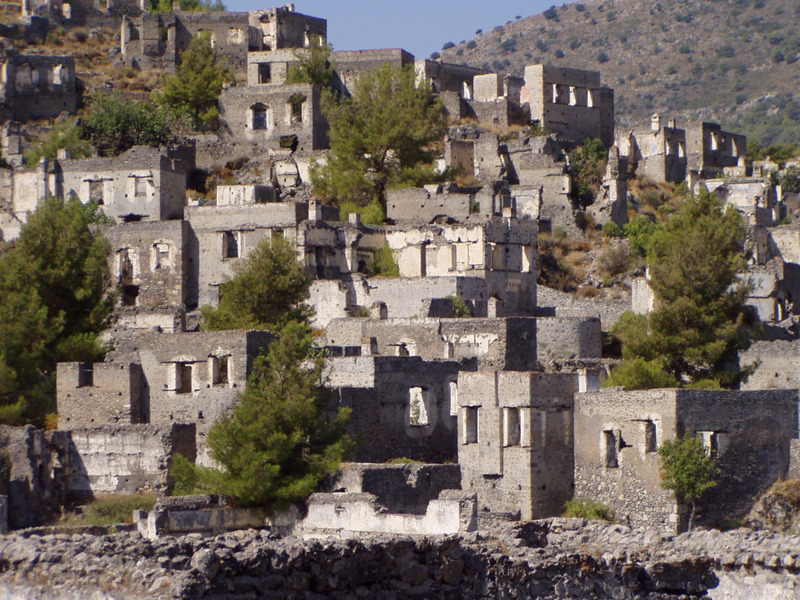 After I WW fallowed by the Independence war, Kayakoy was largely abandoned after a population exchange agreement was signed by the Turkish and Greek governments in 1923. 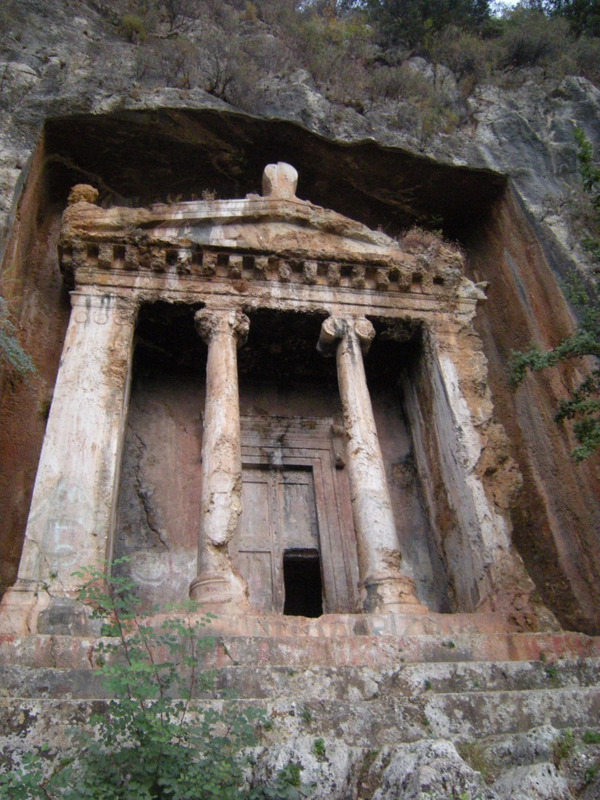 Many of the buildings were damaged in the 1957 Fethiye earthquake. Its population in 1900 was about 2,000, almost all Greek Christians, it is now empty except for tour groups and roadside vendors selling handmade goods, there are a selection of houses which have been restored. 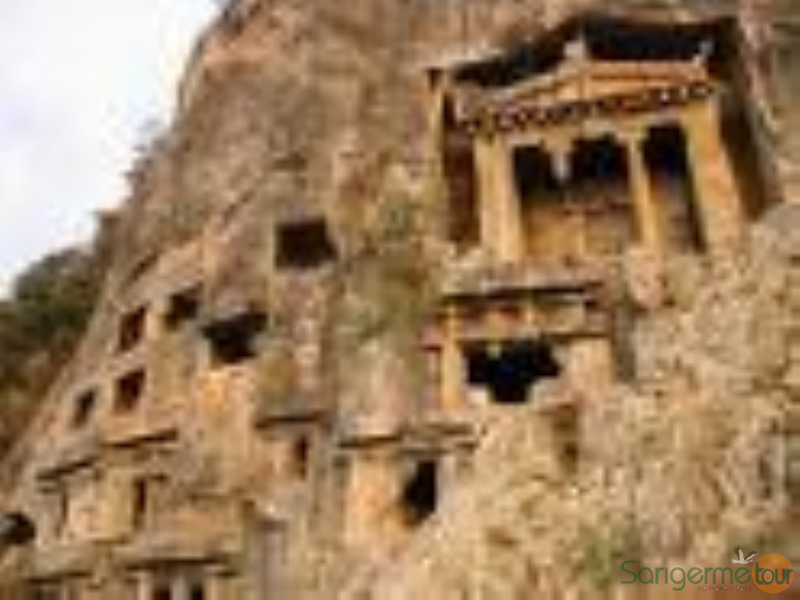 Having a delicious Lunch here, you will have enough time to explore the Village and of course our Tour guide will provide you with the neccesary historical information regarding the Kayakoy. Next will be Oludeniz. What a beauty. 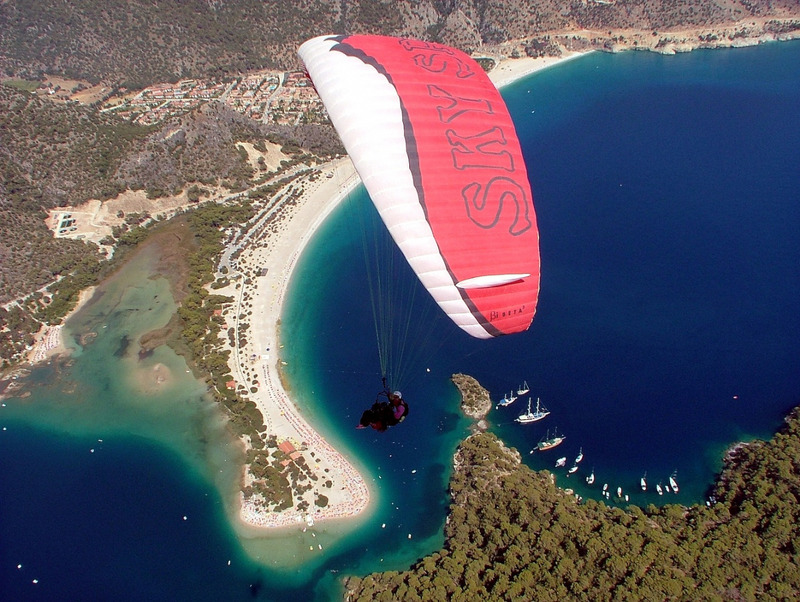 This is the place where you will be able to cool down in blue waters of the Oludeniz Bay. Changing Cabinets, Toilets, sun bed , refreshment will be available on the spot. On the way back, simply to add some flavoure to the excursion we will take you to a Turkish delight Factory, this short break may sweeten up your day as you will be able to taste many kind of Turkish delights in this factory. Information will be provided for those who are interested to find out how turkish delight is made, and obviously great place to shop for presents if anyone back home got fresh tooth. Then back home to your Hotels in sarigerme. Suitable Age : suitable for all ages, anyone under 18 with legal guardian only. Must : Customers with existing medical conditions must inform us at the time of booking, this is important for us.